With so much food, dirt, grease and grime going down your sink, cleaning the drain can be an absolute nightmare for some. 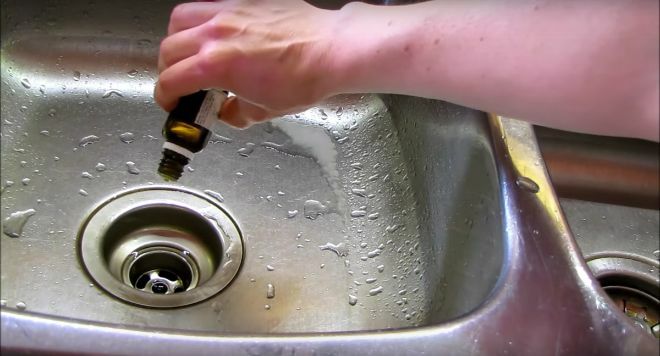 Some would fool you into thinking that cleaning your sink drain is an arduous task that calls for only the most powerful chemical cleaning agents. However, that couldn't be further from the truth. 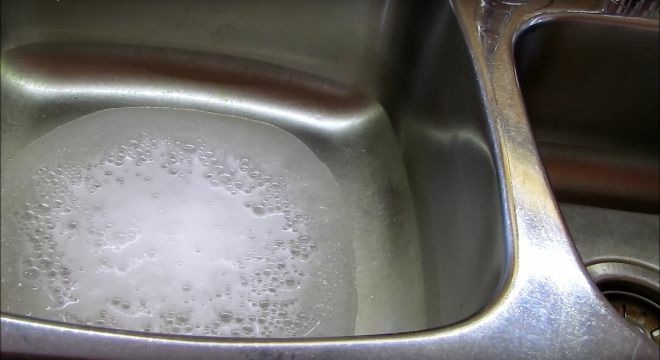 With so many cleaning companies selling cleaning liquids that are highly corrosive and full of dangerous chemicals, it can be hard to distinguish what's good for your sink, let alone your health. After all, your food and your family's food could come into contact with this sink so why not take any chances? That's where this two ingredient, simple drain cleaner from tip guru Colorful Canary comes into play. 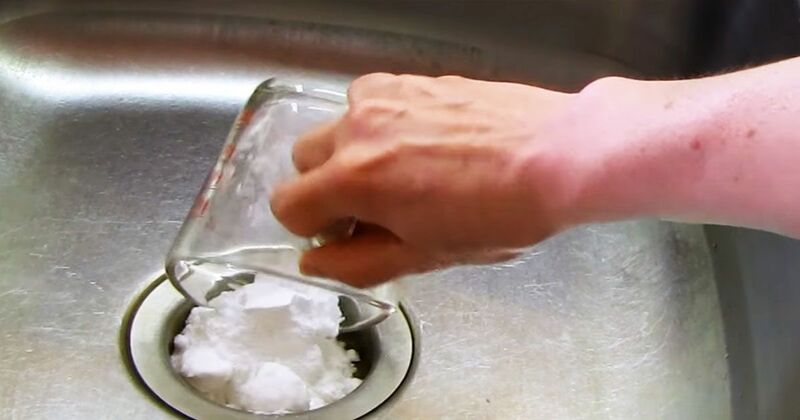 Rather than fool around with some mystery chemical concoction, baking soda and vinegar (which is non-toxic) can be used to clean your drain with ease. 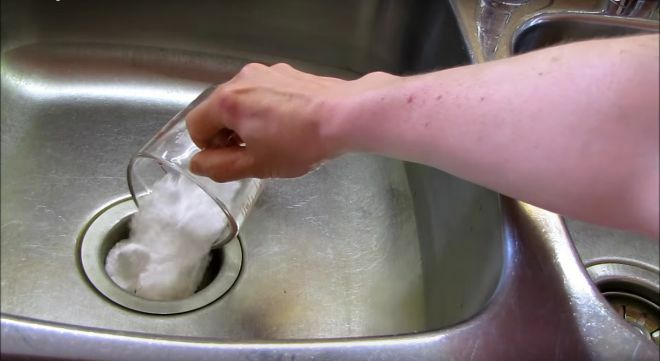 You'll begin by pouring roughly half a cup of baking soda down your sink drain. Over the baking soda, you'll begin pouring vinegar. It'll begin to fizzle and foam, but that's natural and what we want. As it continues to foam up, add a little more each time until the mixture has gradually flowed downward into the drain. Let the mixture flow down into the drain and break down all the gunk in there. All in all it should take about ten minutes or so. 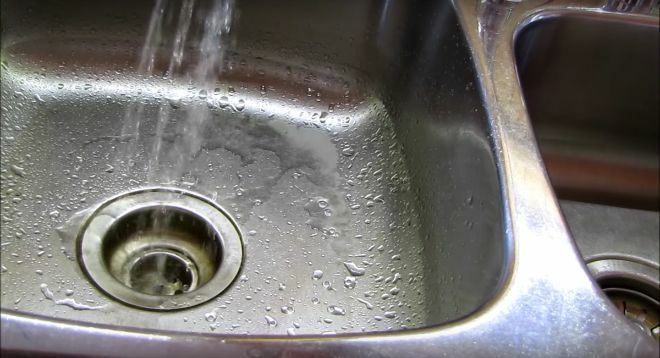 Rinse the remains with water and then wipe it clean and enjoy your clean sink! Colorful Canary suggests adding a couple drops of your favorite essential oil down the drain to help combat any lingering smell and keep your sink smelling great. If you don't have any essential oils on hand a couple drops of a lemon juice or a little natural, scented dish washing liquid could do the trick as well. Found this DIY kitchen tip helpful? Know of someone who's still using those old harmful chemicals? Let them know about this and please SHARE!